South Korea has been considering five candidate sites for an inter-Korean project to excavate the remains of fallen troops left in the Demilitarized Zone during the 1950-53 Korean War, a defense official here said Monday. The sites are Paju, Yeoncheon, Cheolwon, Yanggu and Goseong, where fierce battles occurred during the first major armed conflict of the Cold War. The South proposed some of the sites to the North during general-grade talks late last month. "(At the military talks), the two sides saw eye to eye on the joint excavation project in broad terms," the official said on condition of anonymity. "At this point, we are coordinating our positions through fax messages." 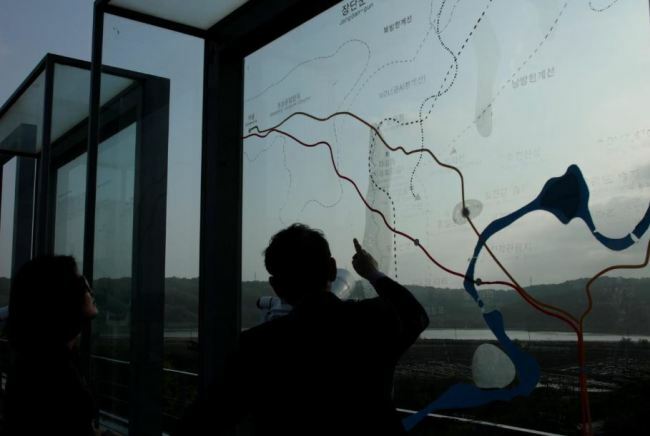 The official also said that the two Koreas will decide where and when to initiate the excavation work through additional consultations, and that they may designate one site to carry out the retrieval project on a trial basis. South Korean President Moon Jae-in has proposed the cross-border project to retrieve the war remains, as part of efforts to deliver on the April inter-Korean summit accord to "transform the DMZ into a peace zone." The excavation process in the heavily fortified DMZ may take some time, as it involves an analysis of historical records to identify locations and amounts of the remains and the removal of landmines in the buffer zone to ensure the safety of excavation personnel.